- Strategizing to improve the quality of employee relations through different interventions particularly human relations dimensions. Talview Candidate Relationship Management Platform allows recruiters to create openings online. Smartphones are the first point of contact for candidates and any openings companies create must be intimated to the candidate over mobile. Talview self-executes this to make the opening available on the mobile app along with the job microsite. Prepare job & role analysis charts, Role templates, job descriptions with a provision to relate these to performance management system & compensation planning. HR Gurukul is a certification in Human resource management. This course will offer you an overall and complete understanding of HR concepts, practices in industries and build your competence in HR function. We work as a link between the manufacturers and importers for marketing and sourcing quality products which have good potential for growth. We work on a mutually agreed commission, acceptable to both the buyer and the supplier as it saves marketing expenses for the supplier and sourcing expenses for the buyer. Performers like actors/actresses, top singers- male singers, female singers, ghazal singers, punjabi pop singers, hip-hop singers, sufi singers, guest artists, co-stars, hosts (males & females), models (male & females), club djs, bhangra group, to name a few. Relationship management aims to create a partnership between an organization and its customers or employees rather than considering the relationship merely transactional. Allows company to promote constant competition to achieve business case. 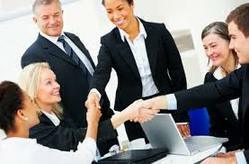 Ensures that negotiated preferred vendor rates and terms are leveraged with maximum effectiveness. This sub-system enables HR to connect with the employee individually, or as a team, and is an easy way to keep employees in touch with the organization by building a virtual close-knit community. Queries and Grievances can be addressed through the Helpdesk, apart from using it as a medium for company-wide discussions (Forum).